It’s a battle of wits. 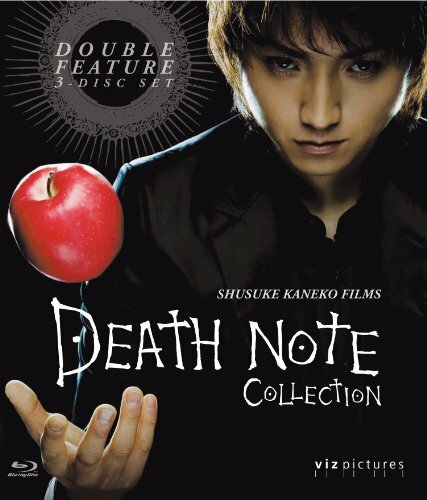 Law student Light is upset with the justice system and when he finds the Death Note dropped by a death god, he vows to rid the world of evil. Any human whose name is written in the notebook dies. As criminals all over the world begin to mysteriously die, a world-renowned detective known only as ‘L’ is put on the case to stop this serial killer that the public calls ‘Kira’. The battle betweenLight and L continues in Death Note II: The Last Name as Light joins theinvestigation team. L suspects Light of being Kira while Light attempts to learn L’s real name. Time becomes even more crucial with the appearance of a second Kira. Whose name will be the last written in the Death Note? If you have any questions about this product by Warner Bros, contact us by completing and submitting the form below. If you are looking for a specif part number, please include it with your message.